A shaman-according to the classic definition given by Mircea Eliade-is a man or woman who makes spiritual "journeys" in an altered state of consciousness in order to heal the sick, divine the future, or contact the spirits of the dead. In this book Holger Kalweit has collected the first-person accounts of tribal shamans from africa, Australia, Asia, Siberia, and the Americas, describing their paranormal experiences and visions as well as their rituals, healing technique, and spiritual disciplines. Out-of-body journeys, spirit weddings, the use of sacred drugs, descent to the underworld, healing crystals, and acquiring animal allies are just some of the experiences surveyed. 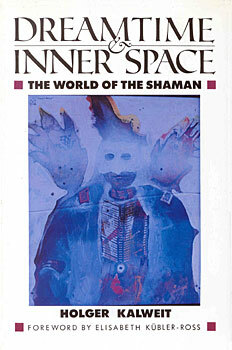 How a person becomes a shaman and what psychic stages of development he or she passes through are also discussed. By drawing parallels with the findings of modern research into altered states of consciousness, the author demonstrates that shamans are important "astronauts of inner space" who have valuable knowledge to contribute to our understanding of the universe and of our human potential. Holger Kalweit, an ethnopsychologist with degrees in both psychology and cultural anthropology, has studied shamanism in Hawaii, Mexico, and Tibet. He is the founder of the Orpheus Project for the Study of Near Death Phenomena in Germany and an active member of the German Transpersonal Association.